Smoothies make a great snack, meal replacement, or a pre/post workout meal, especially during these hot summer days. They are convenient and easy to prepare. All you need is a handy blender and a few basic ingredients. 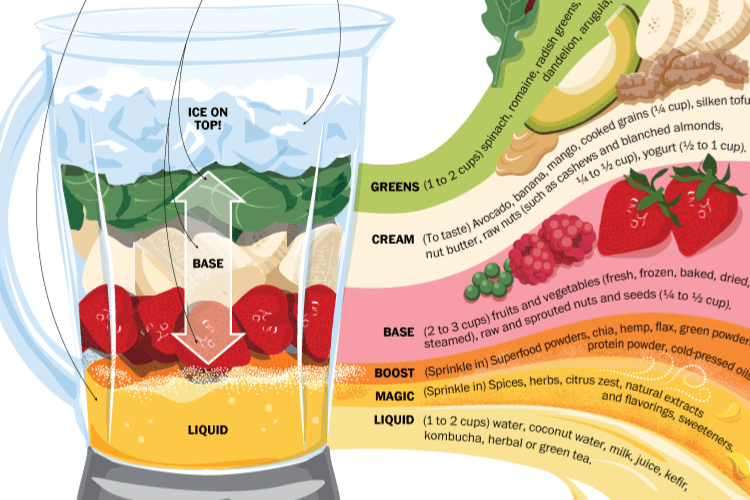 I came across this neat infographic with a guide on how to create delicious smoothies.